A comprehensive and exclusive biography on one of the most pivotal figures of the 20th century: Pope John Paul II. As the spiritual head of more than one billion Catholics and a world statesman of immense stature and influence, Pope John Paul II was a major international figure. Yet he remained a mystery—theologically, politically, and personally. Through unprecedented access to both the Pope himself and those close to him, veteran New York Times correspondent and award-winning author Tad Szulc delivered the definitive biography of John Paul II. This strikingly intimate portrait highlights the Polishness that shapes the Pope's mysticism and pragmatism, while providing a behind-the-scenes look at the significant events of his public and private life. 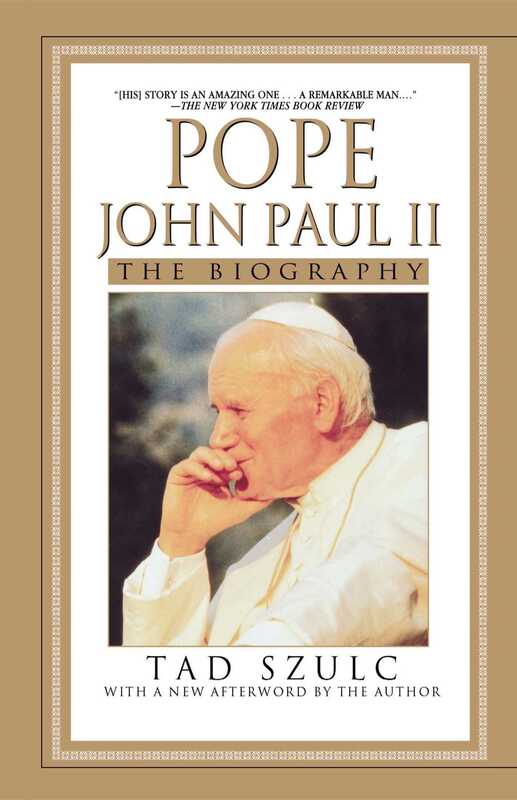 Fascinating and thought-provoking, this biography of Pope John Paul II is vital reading not only for Roman Catholics, but for anyone interested in one of the most important figures of our time.